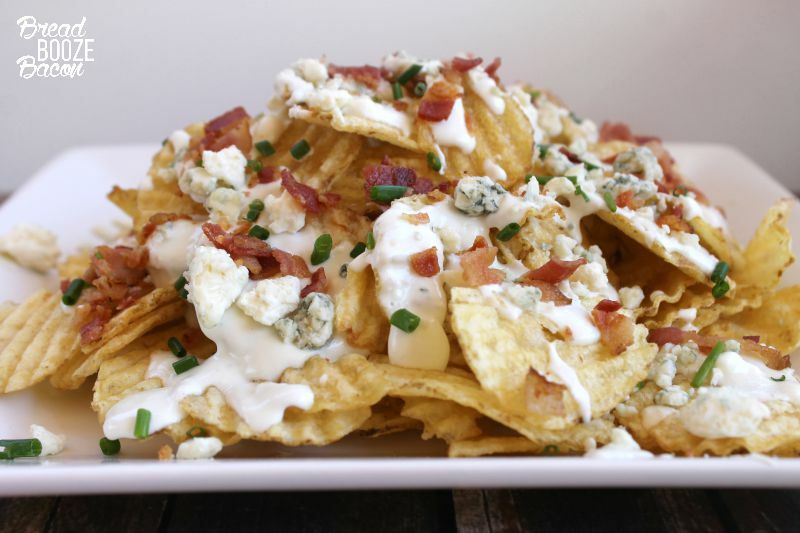 Better than your favorite loaded fries, these Copycat Gordon Biersch House Chips are one of my all time favorite restaurant appetizers! After spending over a year waiting table at Gordon Biersch, yes the place with the garlic fries, and reminiscing about my favorite things to eat there, 4 things come to mind. Southwest egg rolls, jagerschnitzel with braised cabbage and spätzle (on the Oktoberfest fest seasonal menu), the wedge salad (OBSESSED!!!!!! ), and the house chips. Oh those happy house chips. 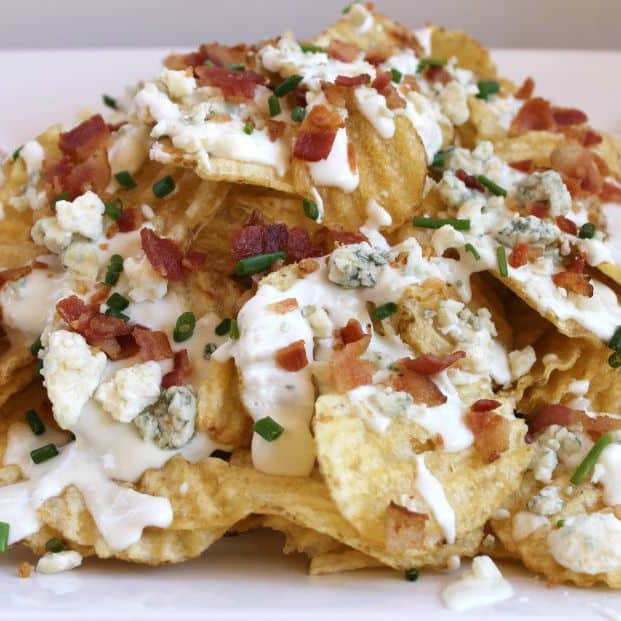 A mound of homemade kettle style potato chips doused in blue cheese sauce, more fresh blue cheese, bacon, and chives. So good! So for all my darling bacon freaks out there, I’m bringing you the plate to give your loaded fries a run for their money. My only warning, wear stretch pants. 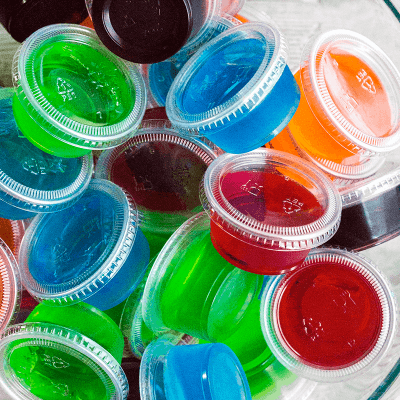 You won’t want to share and these aren’t exactly the most calorie friendly snack. Consider this your “cheat day” temptation. MUAH! 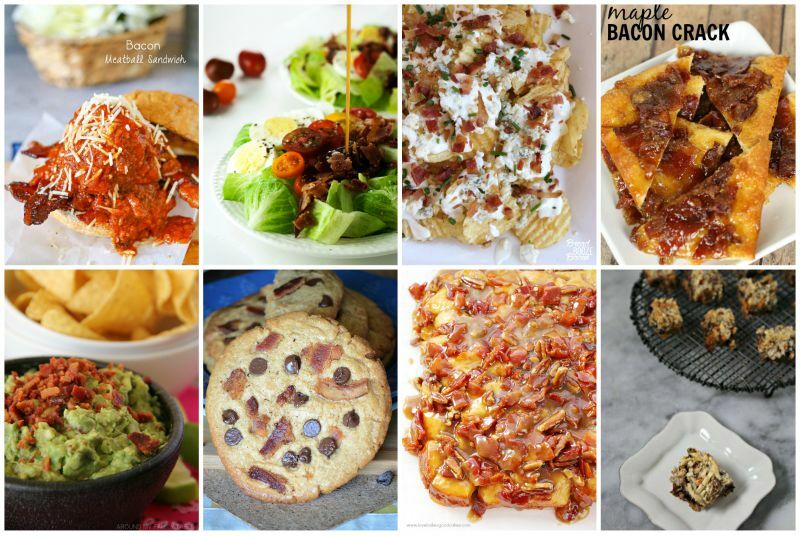 Can you believe this is the last week of Bacon Month?! It’s been so freaking fun! There have been some killer recipes, and the best is yet to come on Saturday! You know you want it! And then eat all the yummy recipes from today! Add the cream cheese and milk to a medium sauce pan. Cook over medium heat until the cream cheese begins to soften and melt. Add the blue cheese crumbles. Stir often with a rubber spatula, and press down on the cheeses to help break them down so they'll melt into the sauce more easily. Once the cheese has melted, bring the sauce to a simmer until thickened, stirring constantly to prevent burning. Remove from the heat and set aside. 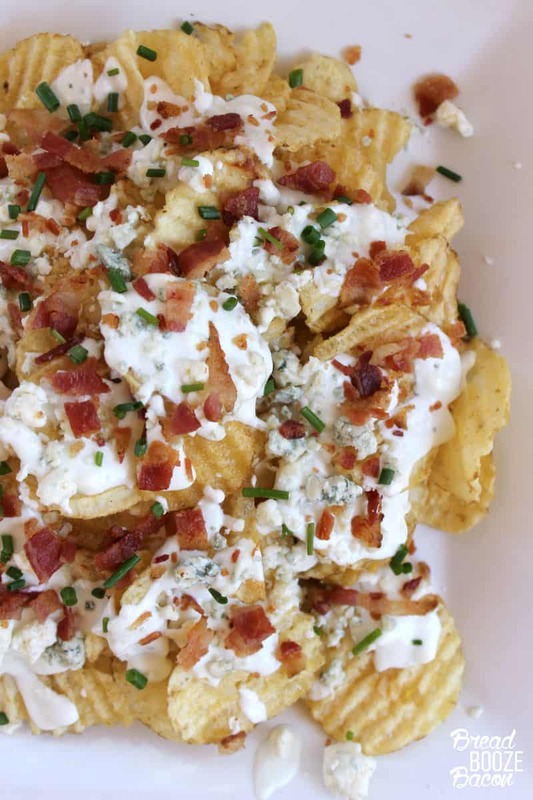 Make a layer of kettle chips on a platter. Spoon 2 to 3 tablespoon blue cheese sauce over the chips. Stack more chips on top of the first layer, piling them into a tall mound in the center. 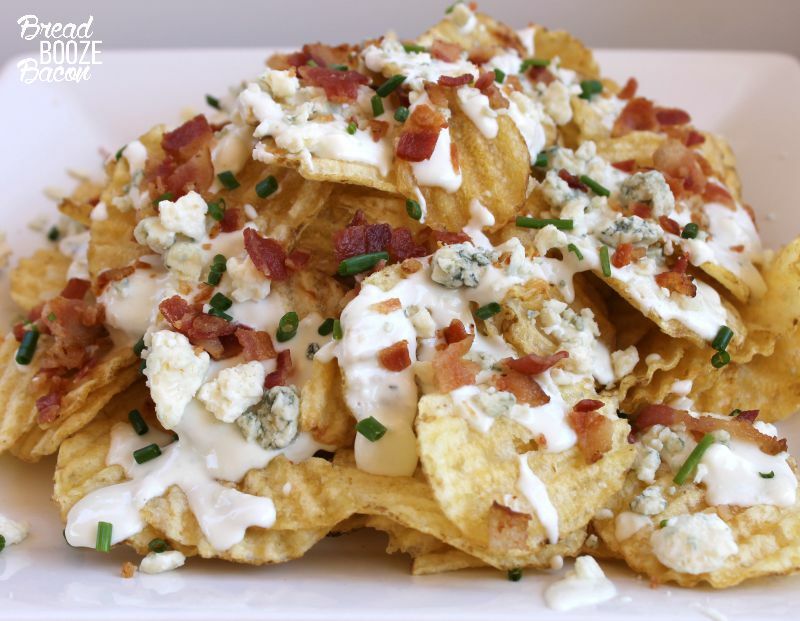 Drizzle the chips with more blue cheese sauce, to taste. 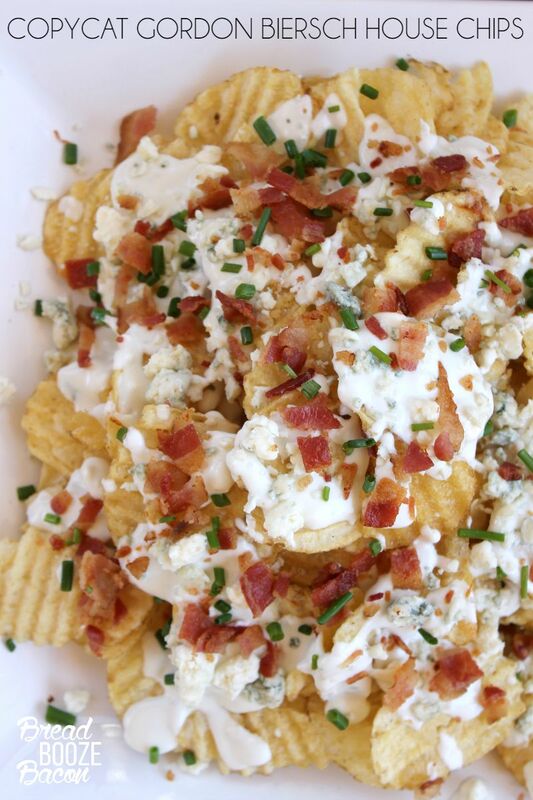 Sprinkle the chips with blue cheese crumbles, bacon, and chives. Serve immediately. You will have more sauce than you need for the stack of chips, unless you drown them in the sauce. Serve the extra in a bowl on the side for dipping chips, wings (YUM! ), and veggies! 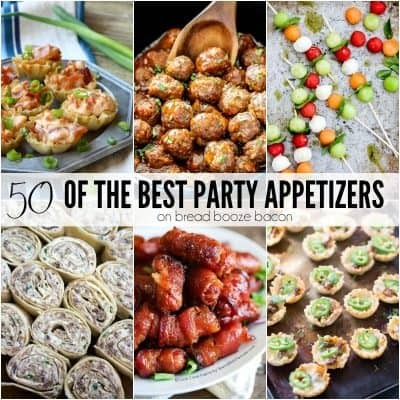 These look freaking amazing Julie! Pinning! Ahhh! That’s so sad! 😉 You can leave the bacon off these chips and they still taste really good!